The real story of how Anglicanism came about is far more complex than Henry and his many marriages! Read the ‘A is for Anglican’ series: The Anglican Story, by Rene Jamieson to find out more. It is unfortunate in my view that when people think of Henry VIII, they think of the playing-card king,(35 in the 16th century was the equivalent of 55 in the 21st century). It is too bad that no really good portraits of Henry as a young man survive. Contemporary accounts of the eighteen-year-old Henry who came to the throne in 1509 describe a golden prince, tall and handsome, an athlete, a poet, a musician, and a linguist; a man of culture who loved to dance, a man with a keen interest in architecture , a diplomat and here’s the surprise – a deeply religious man with a profound knowledge of theology. It must be remembered that Henry had been destined for a career in the church before the untimely death of his brother made him the heir to the throne. In 1521 Pope Leo X had bestowed on Henry the title of Defender of the Faith for his well-reasoned treatise ‘Defence of the Sacraments’, in which Henry challenged Martin Luther’s assertion that the only true sacraments were those instituted by Jesus Christ – Baptism and Holy Communion. Henry argued that the other five sacraments of the Roman Catholic Church – Confirmation, Confession/Absolution, Ordination, Marriage and Unction (the anointing of the sick and dying) were equally valid. However, like Luther, he recognized that many of the practices of the church – the selling of indulgences being the main sticking point – were corrupt and he saw the need for reformation of the church. The Henrician Reformation began in 1529 when Henry had his parliament pass several acts designed to remedy abuses in the church. The Henrician Reformation began in 1529 when Henry had his parliament pass several acts designed to remedy abuses in the church. 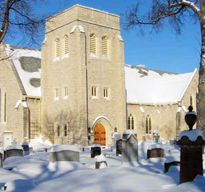 The fees to be charged by the church for probate and mortuary work were reduced, while the procedures for dealing with lawbreakers who sought sanctuary in the church were made more severe. The rents on lands leased out by the religious institutions were to be regulated, not by the church but by English law. The number of offices which could be held by any one priest was reduced to four. None of the measures found favour with the clergy in England, and certainly not with the Pope! In December of 1530, the Pope summoned King Henry to Rome to state his case on the divorce. Henry, of course, did not go. The summons, however, served to increase Henry’s resentment. To make matters worse, the Pope followed up with a letter in January, 1531, informing Henry that he was to repudiate Anne, that he was not free to marry again, and that if he defied the authority of Rome, any children of his liaison with Anne would be considered illegitimate by the church. That did it! In February, 1531 Henry demanded that his parliament pass an act that made Henry the Supreme Head and Sole Protector of the Church in England. Not all members of parliament were happy about the idea, but the king prevailed, and the act was passed. The first major step in the break with Rome was accomplished. In his personal life, Henry attended mass every day at 7:00 a.m., and when the aged king was too ill to go to mass, Holy Communion was brought to him. Henry never repudiated the core teachings of the Roman Catholic Church, even after the break with Rome and remained a Catholic until his death in 1547. This entry was posted in A is for Anglican, Education. Bookmark the permalink.